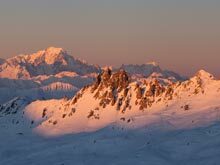 Hi everybody, and welcome back to another post from your favourite blogging ski instructor here in Meribel. Since my previous post, click here for the link, the weather and snow conditions have continued to evolve as we move through January. The wind has blown, the clouds have lingered, but more importantly we've had a couple of lovely snowfalls. For the vast majority of people, the day after a fresh snowfall is priceless. 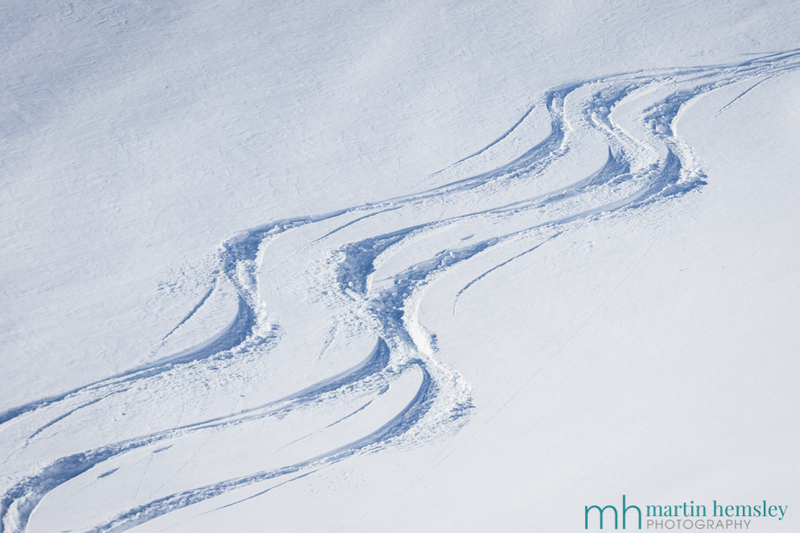 People can have ski holidays without any fresh snow weeks in a row, so when it does fall, we tend to get very excited. 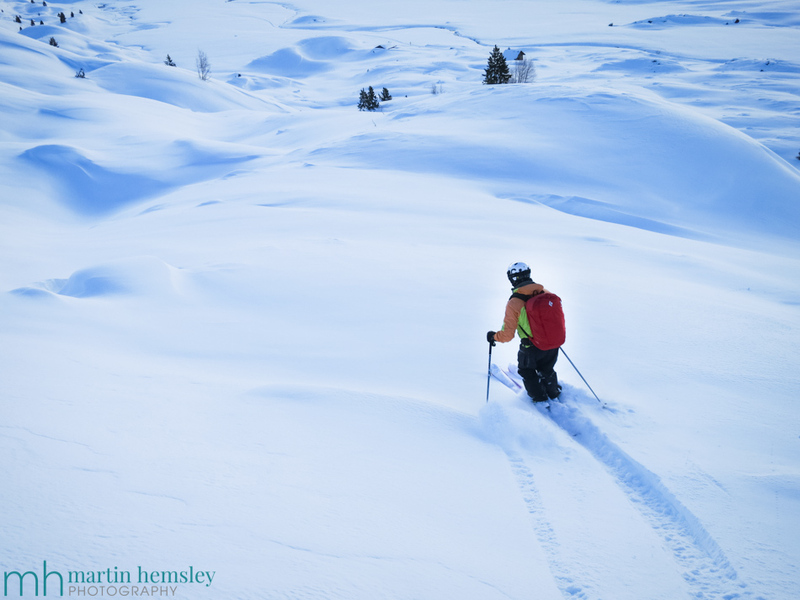 It doesn't matter what standard of skier you are, the feeling of skiing on top of fresh snow is utterly priceless. 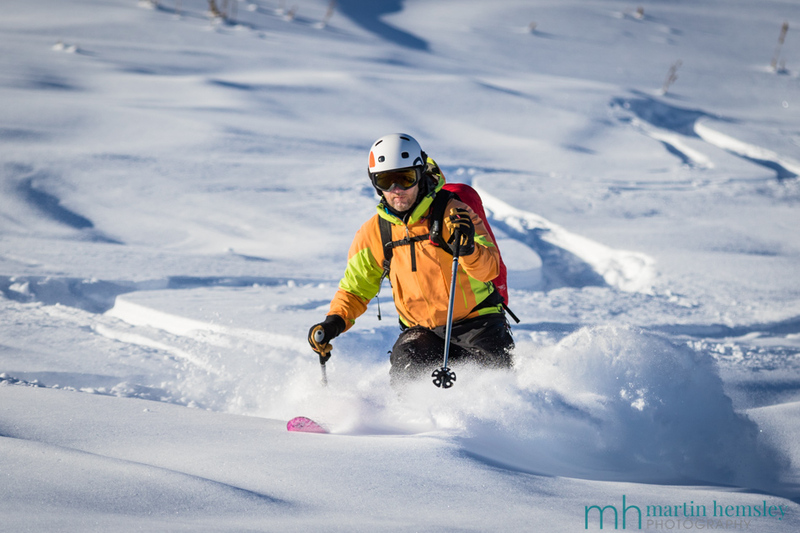 Trying to describe this to non-skiers is very challenging indeed, and something I battle with constantly. 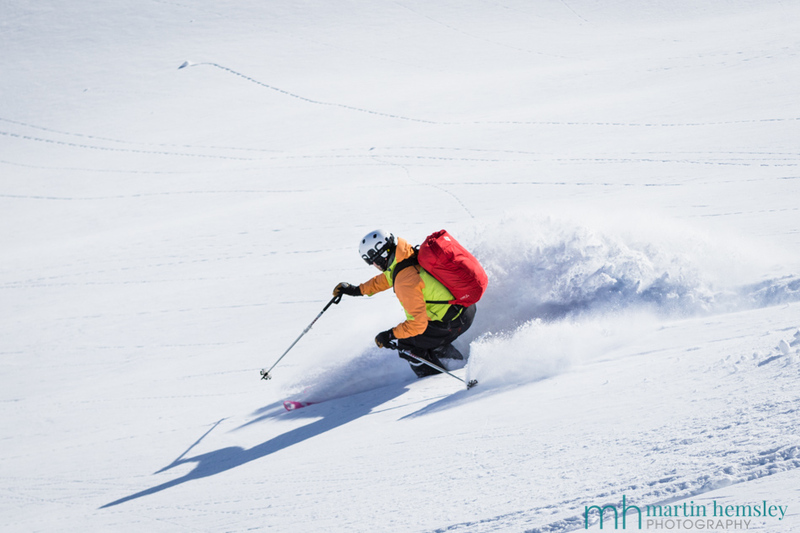 However, the higher the standard of skier you are, the more you can appreciate its delights. 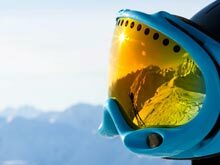 In fact advanced and expert skiers dream of such conditions, and wait patiently and quietly - regularly checking the weather forecast in the hope of skiing some powder. Skiing powder snow is the holy grail for these skiers. On Tuesday last week, the stars aligned for Chris. Back in the autumn, my wife and I met up with Chris and his wife Judy in The Lake District where they live. 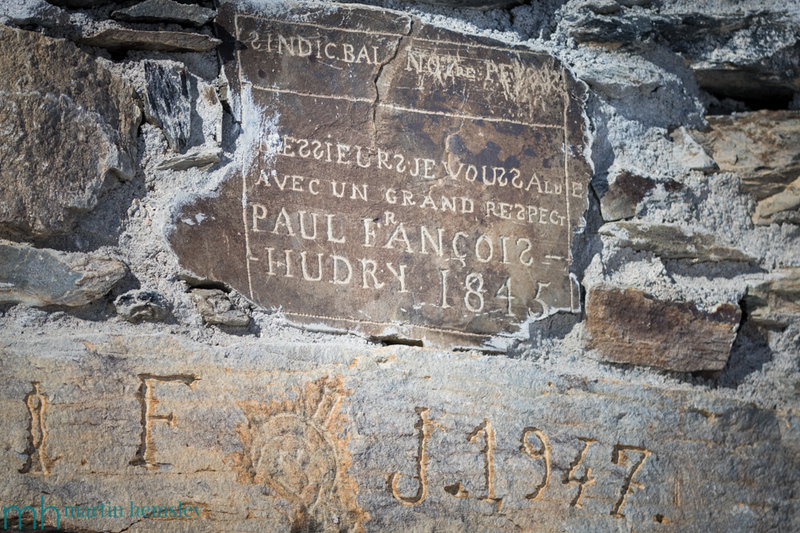 They mentioned that they were returning to Méribel again this week, and wondered if I had a spare day available. Long story short, I was able to juggle my bookings and allocate the Tuesday. Unfortunately Judy went down with the flu the day before, and missed the rest of the week - get well soon Judy, I hope you fully recover soon. 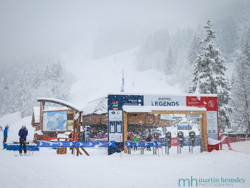 It had been snowing off and on for nearly 36 hours before the ski lifts opened on the Tuesday morning when I met Chris. We both knew that the day had the potential to be rather good. We didn't chat for long down at Chaudanne, instead we quickly took the new Legends chairlift which whisked us up the mountain. For the first hour or so we poked about at the side of the pistes benefitting from the powder. 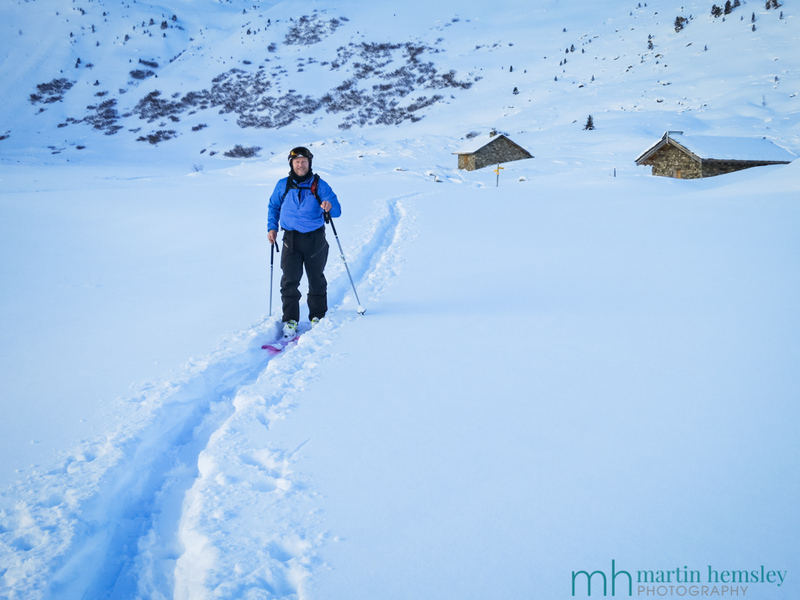 However I had a plan, I wanted ski a 'route' far away from the pistes - I fancied heading over to Val Thorens and go up the Cime Caron cable car, and pop over into the fabulous Lac du Lou off-piste domain. As we skied towards the penultimate chairlift, I noticed a sign which stated that the cable car had a technical fault and wasn't running. So coming up with a Plan B sharpish was required. No problem, we skied direct to Les Menuires and went to the top of La Masse instead and entered into the Vallon du Lou from a different direction. And boy oh boy, how good was the snow? 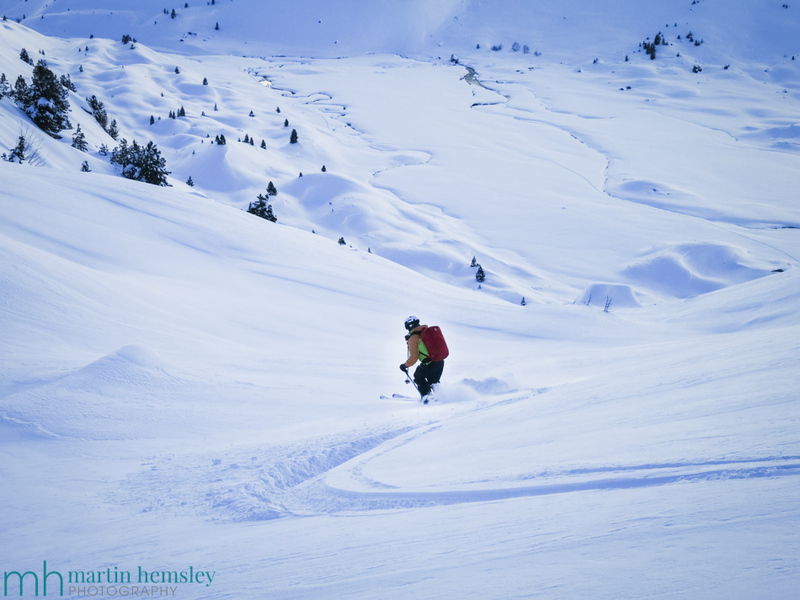 This area opens out, and is a magnificent playground, skied with care of course. 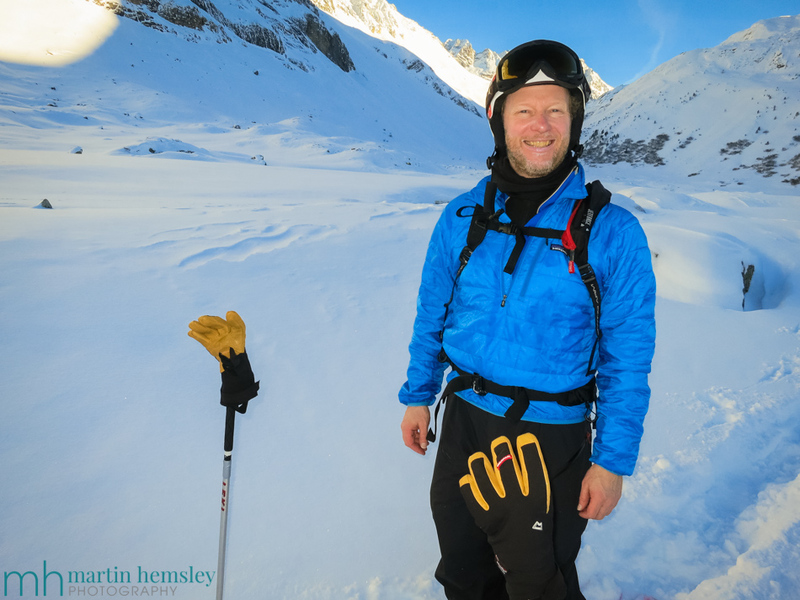 We found many pitches of clean snow which we both thoroughly enjoyed and each had a smile bigger than... I don't know. We were smiling all the way down, let's just say that. At the bottom of the route, there is the Refuge du Lac du Lou, right on the edge of the beautiful frozen lake. The refuge was renovated a couple of years ago and opened last winter for overnight stays, and refreshments plus food during the day. It certainly has an idyllic setting away from the pistes and lifts. 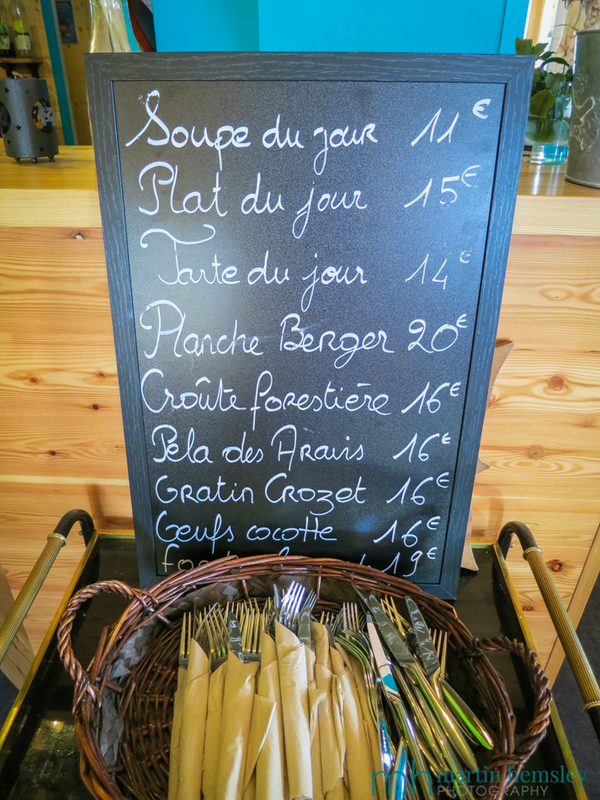 We both chose the Plat du Jour which was not only delicious but also good value for money at 15 euros per person. Once refreshed, we were back on our skis again, with three hours left of the day. 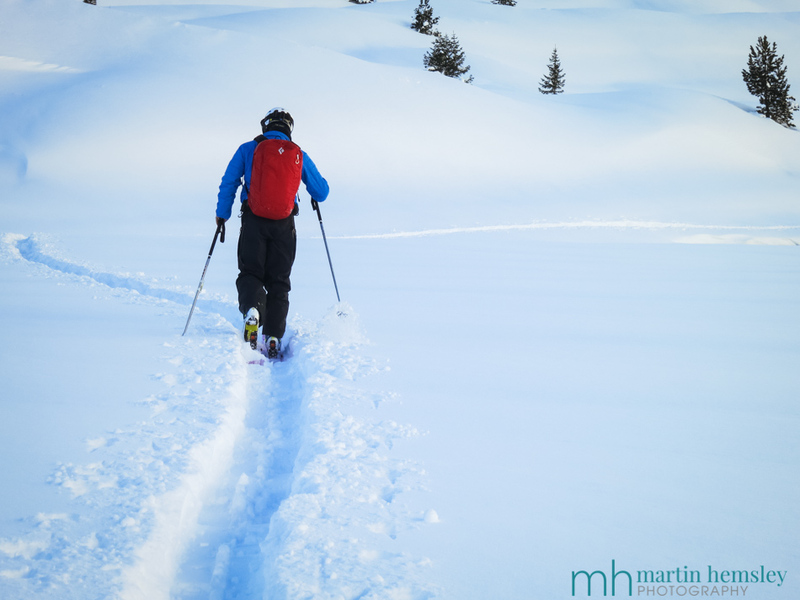 Having had a taste for untracked powder and skiing down a 'route', I opted to head back over into the Méribel Valley and aim for the mighty Mont Vallon peak. 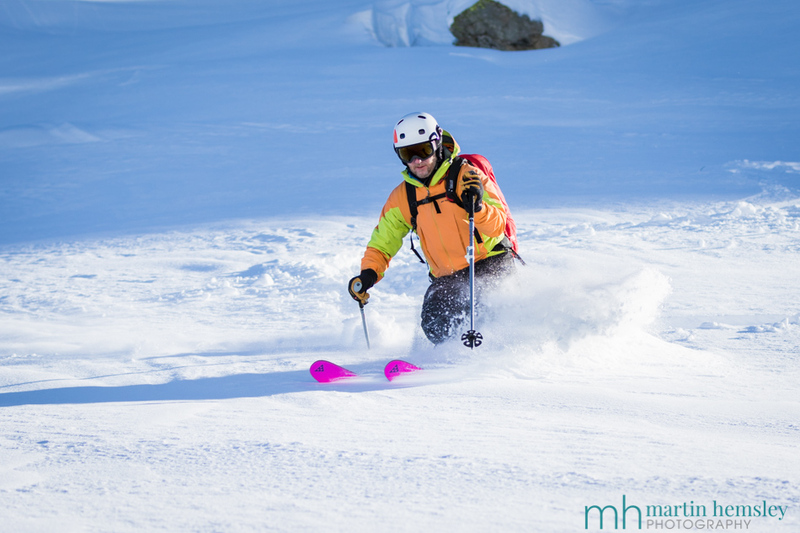 Just below the top of the Mont Vallon bubble, it is possible to ski off-piste into the Vallon du Fruit. 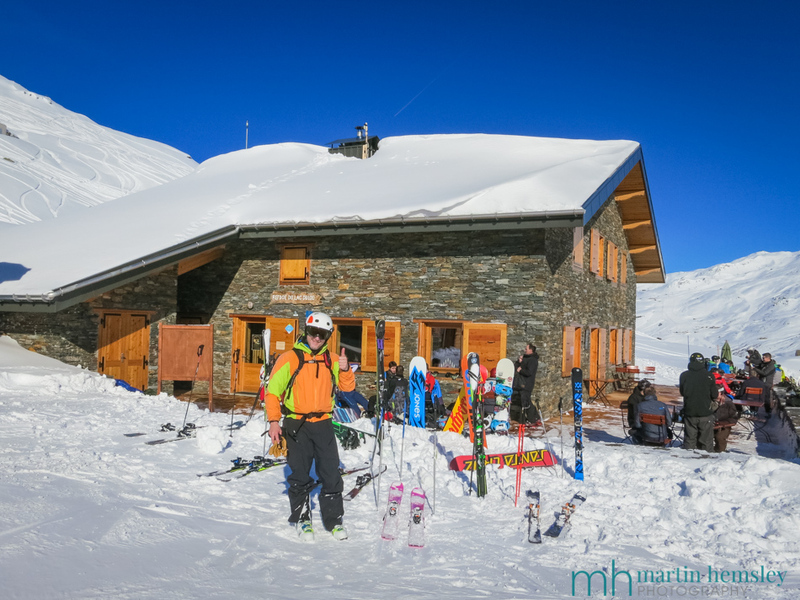 This is just inside the Vanoise National Park, of which there are three permitted ski routes that can be taken in this protected area - down from the Gebroulaz Glacier past the Refuge du Saut, down the Col du Fruit, and the route we took through the Col du Vallon. To our astonishment, no-one had skied down through the Col all day. We had clean, untracked, deep powder snow all to ourselves. Talk about priceless. In fact, there was one track left by a snow shoer on the valley floor from earlier that day. This was the ultimate end to our skiing day. And we both loved being in the middle of nowhere away from ski lifts and pistes. 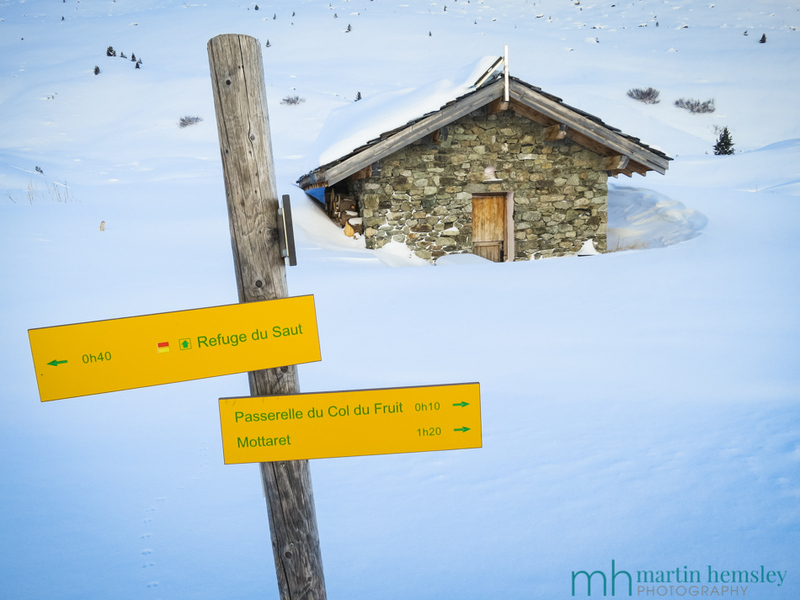 Granted, it certainly took a while to walk, and also ski, back down to Méribel-Mottaret. However we took this as an opportunity to soak up our surroundings, and enjoy the mountains at their best. To say that the skiing stars aligned for us would be an understatement, and I'm sure it will be a day that we will remember for a long time to come. 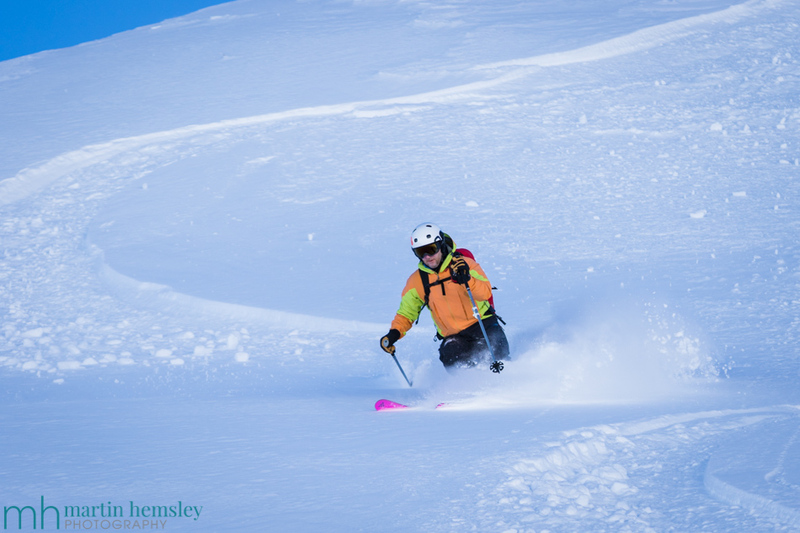 Fingers crossed we will get to ski some powder again in the future, this time with a healthy Judy. The next day I was back skiing with Mick, John, Susan and Astrid on beautifully prepared pistes, which in its own right is fantastic. We had another great day, and at some point Susan asked me what it is like skiing in powder, and how was it different? It took me a while to think of some words and give a description - I explained that it felt like a spiritual experience, where you are floating through the snow down the mountain in slow motion. I'm not sure I did very well with this description judging by the look on her face! Oh well, I guess it's no different to when we all struggle to explain how good skiing is to non-skiers.